DUBAI (Reuters) - Bahrain, headquarters of the U.S. Navy's Fifth Fleet, plans to roll out a commercial 5G mobile network by June, partly using Huawei technology despite the United States' concerns the Chinese telecom giant's equipment could be used for spying. Washington has warned countries against using Chinese technology, saying Huawei could be used by Beijing to spy on the West. 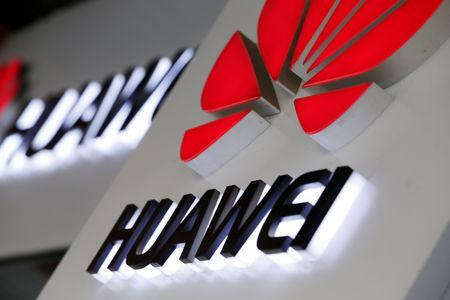 China and Huawei have strongly rejected the allegations. VIVA Bahrain, a subsidiary of Saudi Arabian state-controlled telecoms firm STC, last month signed an agreement to use Huawei products in its 5G network, one of several Gulf telecoms companies working with the Chinese company. "We have no concern at this stage as long as this technology is meeting our standards," Bahrain's Telecommunications Minister Kamal bin Ahmed Mohammed told Reuters on Tuesday when asked about U.S. concerns over Huawei technology. A senior State Department official told Reuters the U.S. routinely urges allies and partners to consider the risks posed by vendors subject to extrajudicial or unchecked compulsion by foreign states. The U.S. Fifth Fleet uses its base in Bahrain, a Western-allied island state off the Saudi coast, to patrol several important shipping lanes, including near Iran. Bahrain expects to be one of the first countries to make 5G available nationwide, Mohammed said, although he cautioned it would depend on handset and equipment availability. Early movers like the United States, China, Japan and South Korea are just starting to roll out their 5G networks, but other regions, such as Europe, are still years away and the first 5G phones are only likely to be released in the second half of this year. Bahrain's state controlled operator Batelco is working with Sweden's Ericsson on its 5G network, while the country's third telecoms group Zain Bahrain is yet to announce a technology provider. No foreign company is restricted by the government from providing equipment for Bahrain's 5G network, Mohammed said, adding mobile operators choose who they work with. Australia and New Zealand have stopped operators using Huawei equipment in their networks but the European Union is expected to ignore U.S. calls to ban the Chinese company, instead urging countries to share more data to tackle cybersecurity risks related to 5G networks. Mohammed said the rollout of the 5G network was an "important milestone" for Bahrain, which is hoping investments in technology will help spur its economy, which was hit hard by a recent drop in oil prices. "It is something we are proud to have," he said. First Stealth: Could the Legendary F-117 Still Go To War for America's Air Force?